After going through the process of building a home with a skilled, patient real estate agent, Stormi decided she wanted to be that agent for other people, so she got her real estate license. Today, she's a top sales performer in Norman, Oklahoma. 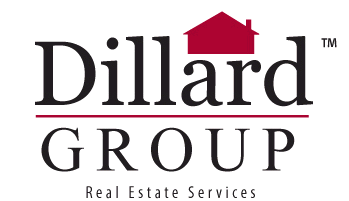 Since 1989, Dillard Group has been one of the most successful real estate firms in the Oklahoma metro area. Comprised of Brokers and Associates who have been the top sales producers in Norman and Cleveland County for more than 25 years, the Dillard Group is staffed by experienced and knowledgeable professionals. Several years ago, Stormi and her husband began working with a builder on a newly constructed custom home and something clicked. Stormi found herself loving the process and became interested in the potential of a career in real estate. Beyond her attraction to the fundamental elements of new construction and real estate in general, she was inspired by the passion involved. The agent who was helping Stormi through the new construction process was patient, kind and always receptive to questions. She appreciated her agent's stellar service and decided that she wanted to be that kind of agent for other home buyers and sellers. Stormi got her real estate license in 2006, and in her first year, she had over $1 million in sales - which is no small feat in Norman, Oklahoma where the average sale price of a home is $165,000. She focused her business on nurturing relationships with leads and clients, being patient and providing a great experience for all of her buyers and sellers. Her motto is to provide a memorable experience that keeps her clients smiling when they look back on the process, even if they encounter hiccups along the way. 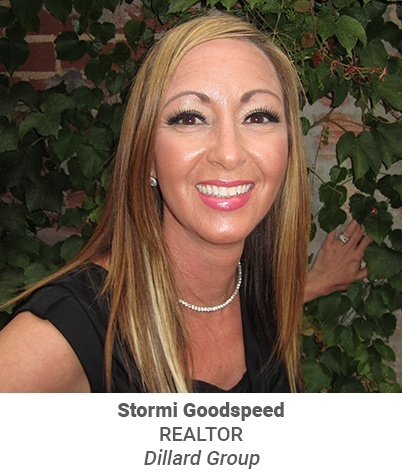 Early on in her career, Stormi realized she needed a reliable lead generation system in place in order to achieve long-term real estate success. She came across Zurple and was impressed by the wealth of features and friendly customer service. When agents call to ask her about the system, she's quick to offer praise. In Stormi's words, " You have to understand that Zurple is not a quick gains game. To be successful, you have to be diligent about nurturing your leads and allowing them to come to you on their own timeline. As long as you can commit to taking over when the system alerts you that a lead is ready to talk, you'll always have a steady pipeline of new incoming business." “Zurple helps me manage and take care of my leads - even when I'm far away with little or no access to my email or my phone." One shortcoming Stormi has encountererd in her own prospecting efforts is that she struggles to engage new people. She attributes this challenge to the fact that people are habitual. We tend to always go to the same grocery store or coffee shop, and it limits the number of new people we interact with on a day to day basis. In real estate, an industry where every new connection is a potential client, a lack of access to new groups of people can be stifling. Zurple solves this problem by allowing agents like Stormi to expand their reach to areas beyond the areas where she lives and works. It enables real estate professionals to get in touch with people they wouldn’t typically have met - opening up a new realm of business possibilities. In addition to having a system she's come to rely on that delivers consistent results, Stormi has been blown away by the level of support Zurple provides. Every time she interacts with her Account Manager or anyone from the support team, she always finds answers she’s looking for and feels appreciated and very well taken care of. Zurple is truly dedicated to the cause of helping agents and brokers build smarter, more efficient and ultimately more successful businesses. Stormi is hugely focused on putting her clients first and providing the best possible service. She deeply cares about people and when she's faced with a challenge along the way, she will work hard to find the way to meet her client's goals. In addition to her people-centric approach to life and business, Stormi is known for her deep sense of integrity. She is upfront and honest, and isn't afraid to decline a business opportunity if it doesn’t feel right. Integrity is more important to her than prestige and money. This combination of personality attributes keeps Stormi balanced and makes her easy to work with.